After spending my adolescent years towering over every girl in school, I have never been much of a high heel fanatic. 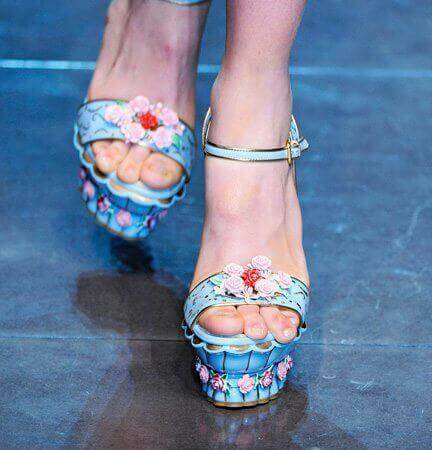 But these gorgeous, gorgeous, gorgeous crystal-leather-and-ceramic sandals from Dolce & Gabbana are completely drool-inducing and totally beyond powers of resistance. 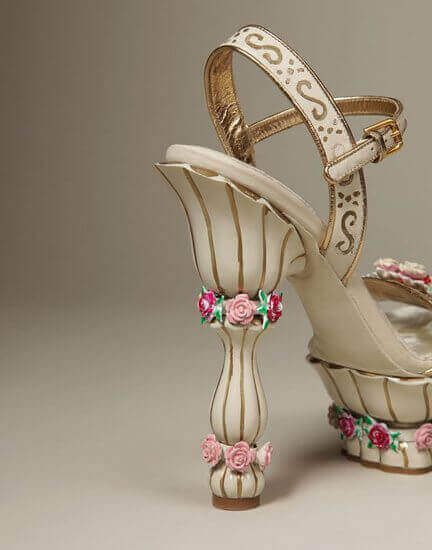 Available in two colours – ebony white and a Ladurée-blue – these “Cake Shoes” have a massive resin platform of 50mm and hand-painted details that resemble something of a fashionable cake topper. Which is a fitting inspiration, since great shoes complete an outfit much like dessert does a delicious meal (did I mention that they are gorgeous?)! And they even look comfortable to wear… I can imagine pairing them with a minimalist cocktail dress or pretty pastel hues à la Sofia Coppola’s Marie Antoinette. I’m sorry, but with shoes like these walking the ramps and roadways, I just don’t think Louboutin is killing it anymore. What do you think?